It’s a good idea to get started on remodeling now to help you keep your home safe, comfortable, and energy-efficient before the summer heat starts to really kick in. There are several projects that you can consider doing, including necessary maintenance and upgrades to your roofing, siding and windows. Your roofing in Crown Point, IN, is your primary defense against the various weather conditions you experience on a day-to-day basis. Having it professionally inspected for signs of damage can keep it in top shape all summer. Rogers Roofing offers a wide array of roofing services, from minor repairs to complete roof replacement. We also work with trusted manufacturers such as CertainTeed and Vande Hey Raleigh to bring you the best quality roofing options for your home. Proper insulation and weather protection are two of your siding’s primary jobs. It keeps your home cool, comfortable and energy-efficient all summer long. At Rogers Roofing, we have a vast selection of superb siding materials – including vinyl, insulated vinyl and fiber cement – on our roster. 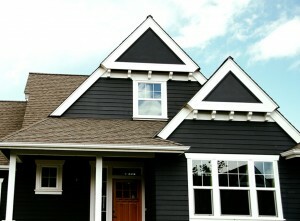 Our team of siding experts can help you choose the option that’s most suitable for your home. Want to give your home a makeover this season? Replacement windows are the way to go. We provide several window styles such as bow, bay, casement, double-hung and glider to help you get the look you want for your home. The materials we use allow the units to provide better lighting and energy efficiency as well. Make sure your home is ready for summer with these worthwhile projects. Give Rogers Roofing a call to learn more about our products and services for roofing, siding and windows in Hammond, IN. Schedule a free estimate with us to get started!